Seedlings may need protection from light frosts. Cannot tolerate hard freezes. Cucumber, Corn, Lettuce, Zinnia, Cabbage, Brussels Sprouts, Cauliflower, Collards, Broccoli and Tomato. 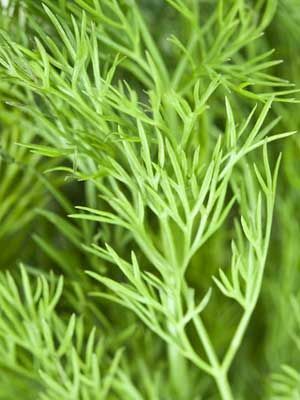 Young dill leaves are the herb known as dill weed. Dill flowers and seeds are used in making breads and pickles. Gather and dry leaves when plants are 10 inches tall. Use a paper bag to harvest seeds when they change from green to tan and fall freely from their umbels.